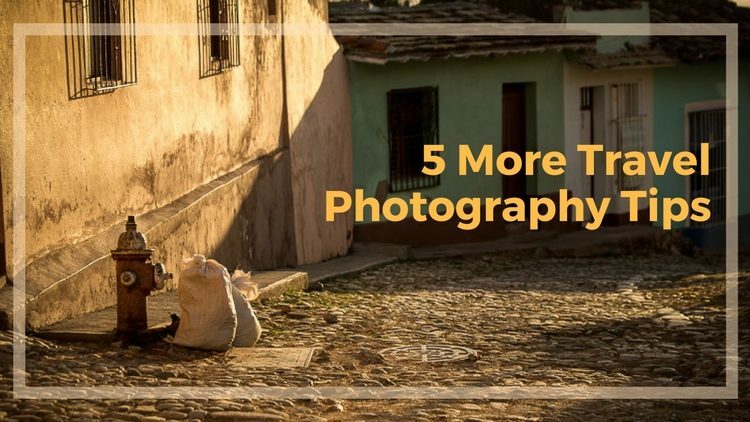 Last week I shared 5 travel photography tips to help you come home with better photos. 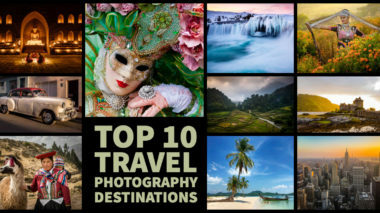 If you missed those check them out first, then continue on with #6-10 for more travel photography tips below. Before you go do some research online. 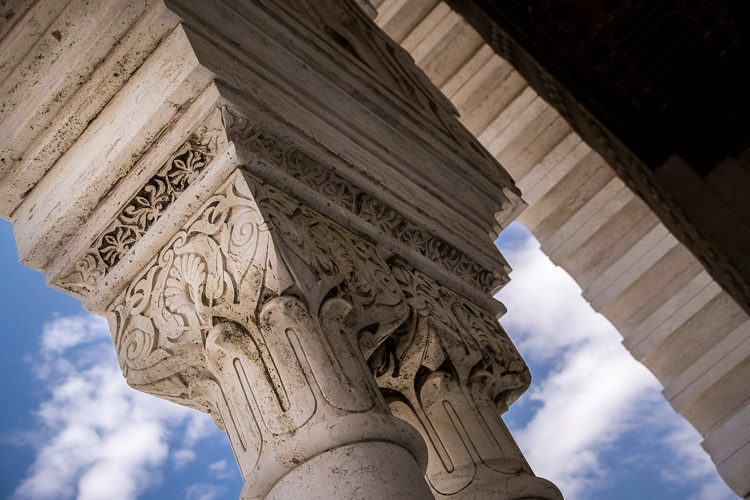 Use Flickr, 500px or even Google images to find a few hidden gems, spots other photographers have discovered. The tourism info doesn't tell you what's good for photography, or what time is best to shoot there, but another photographer who visited that same place may be willing to share that info with you. Find some shots you like and comment on the photos (on Flickr and 500px). Sometimes you'll even find the GPS data on the images showing you the exact location. Reach out to the photographers and tell them you'll be going there and do they have any suggestions for locations. Sometimes you can find a local that is willing to give you some tips. Just remember to follow tip #2 and be safe if you decide to meet up with that person. Another good tool to have is an app like The Photographer's Ephemeris or Photo Pills (iPhone only) or PlanIt! (iOS and Android). They can help you determine not only the times for sunrise/sunset but the direction the sun will set, and if they are any obstacles in that location. Photo Pills also has a night sky planner so you can find the Milky Way and other things in the sky. 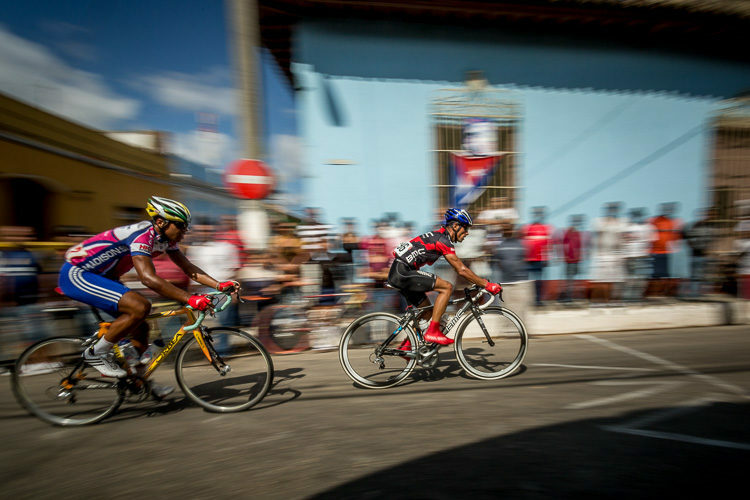 #7 – Watch your shutter speed! 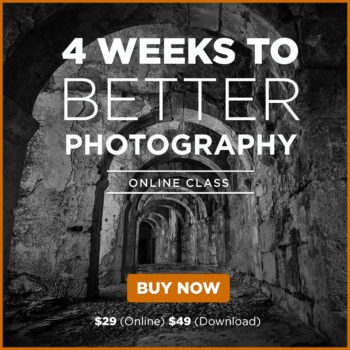 The biggest issue I see people at my workshops and tour members having is blurry images due to camera shake. If you're using a 100mm lens make sure you have a shutter speed of 1/100th or faster (1/200th, 1/500th, etc.). The longer the lens the faster shutter speed you will need to combat and beat camera shake. It gets magnified when you zoom in. If you have unsteady hands, go even higher. Image stabilization (IS or VR) helps here too. Turn it on when shooting handheld and off when using a tripod. 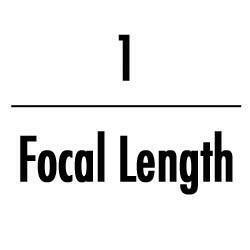 So if you are shooting at f/11 all the time, it means your shutter speed has to slow down significantly to let in more light in order to make up for the small sized aperture. You may have more depth of field (if that's what you were going for) but you may have a whole lot of nothing in focus due to movement. How you hold your camera matters too. Put your left hand under the camera, the right hand is for button pushing (cause now you know what they all do right!). Support it underneath and tuck in your elbows or rest them on something, like this. If you're shooting in really low light conditions there are a few things you can do. 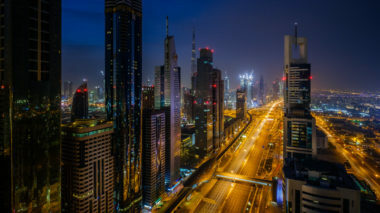 Read: Tips for Low Light Photography to help you. Two years ago I downsized my camera bag and switched from using my Canon 5D Mark III to a Fuji X-T1 mirrorless camera. I could not be happier with my decision. I used to have a large DSLR body, and I'd usually take three lenses (my 16-35mm Tamron, a 24-105mm f/4 Canon lens, and my Nifty Fifty 50mm f/1.8), sometimes adding my 70-200mm f/4 Canon. Although they aren't huge lenses there were still pretty hefty all up. Now I carry my Fuji, three lenses (18-135mm, 35mm f/1.4, and a fun Rokinon 8mm fisheye) which amount to about half the weight. I can add my laptop and my bag will still weigh less than before. This photo was taken with my Samsung S7 phone, which also comes with me. My point here is you don't need to bring every lens you own with you when you travel. Nor do you need to own every lens Canon makes, or that is known to man. Know what you like to shoot and take two, maybe three lenses tops, only the ones that will serve you the best. The less you have to carry daily means the more you're likely to stay out later shooting. It also means that if you have fewer lenses to choose from you won't miss any shots while changing from one to another. Use the stuff you to bring to its full advantage. 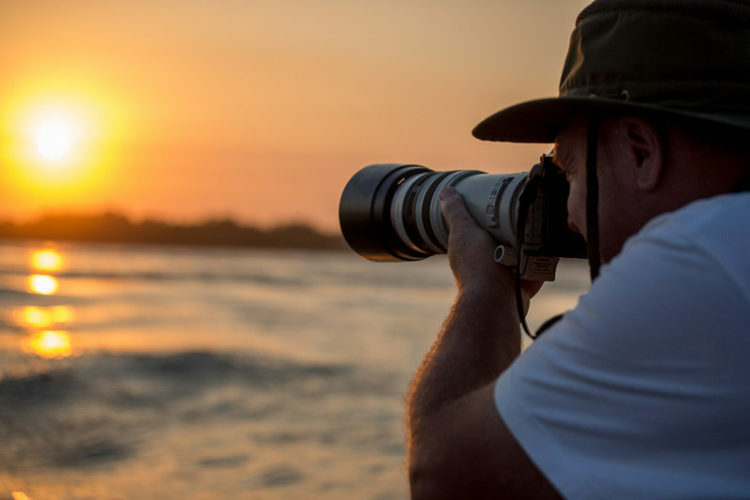 Focus on your photography skills, artistic abilities and truly having an experience at your travel destination. Be more intentional with your photography. 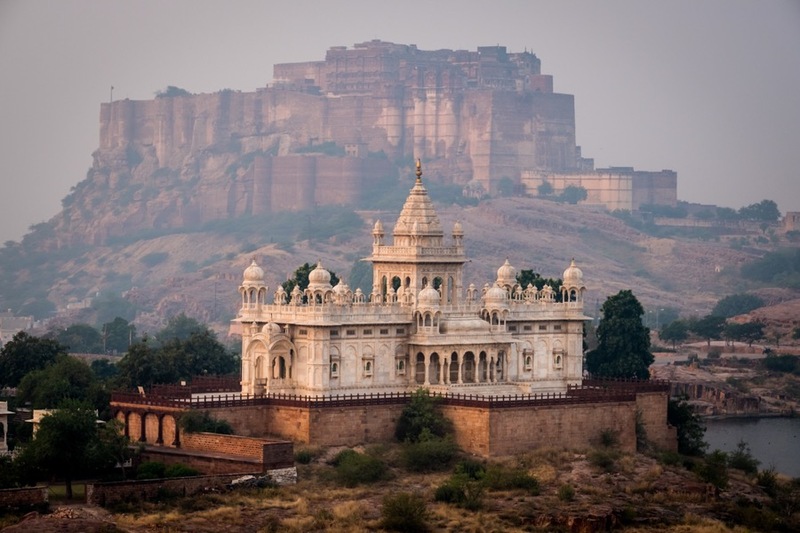 This applies to not only travel photography but all the other genres you do as well. Slow down, take your time, and you will take better photos. I promise. How is the White Balance? Does the have a pleasing tone, one that represents the scene how you want? Zoom in on the image all the way using the magnifier (it will either be a + symbol or a magnifying glass). Check that the subject is in sharp focus. If not why? Is it the shutter speed? Did you use the wrong focus mode? Or is the focus point just on the wrong spot? Lastly, look at the edges of the image. Watch out for trees growing out of people's heads, errant poles, a garbage can or trash in your shot, etc. Also look for areas in the background or on the edges that are overly bright. That will draw the viewer's eye away from the subject which is more in the middle (but not centered) of the frame. If you can get in the habit of doing this you can eliminate a lot of distractions from your images. Is there stuff in your image that is unnecessary? 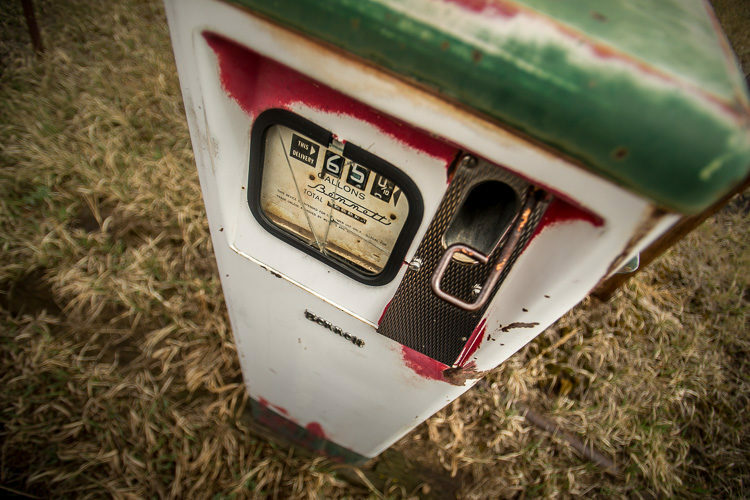 Like reviewing the edges of your image, look to see if there are things that just aren't needed in the image to tell the story. If so, think about getting closer to the subject and cropping some stuff out. 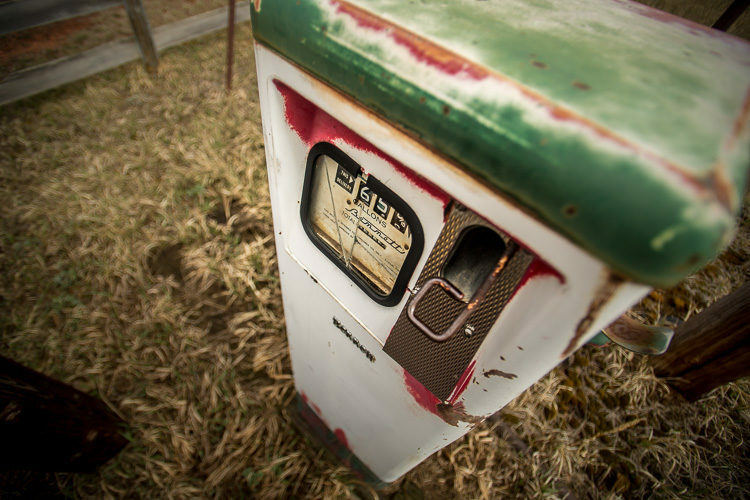 Here is an image I shot of an old gas pump. Upon reviewing it, I decided I didn't like the fence and the posts on the edges of the frame. ~ Drumheller, Alberta, Canada. Here is my second (or 3rd or 4th perhaps) shot. Much cleaner edges. The subject is highlighted more now. See the difference? It's subtle but these are the kinds of things that will take your images from just okay > good > great. Now revisit any settings that were off, adjust the composition if need be, and take another shot. Repeat steps 1-5 above if necessary until you're happy with the image. Keep all the shots you take so you can review them all later on the computer. See how the changes you made impacted the image. Did it improve it? If so, how? Is your last shot the best? What can you learn from these images? Along the same lines as tip #9 above is to explore your subject a little more. Take more than one shot, do your image review as above, and then also consider if you have captured the subject in the best way. 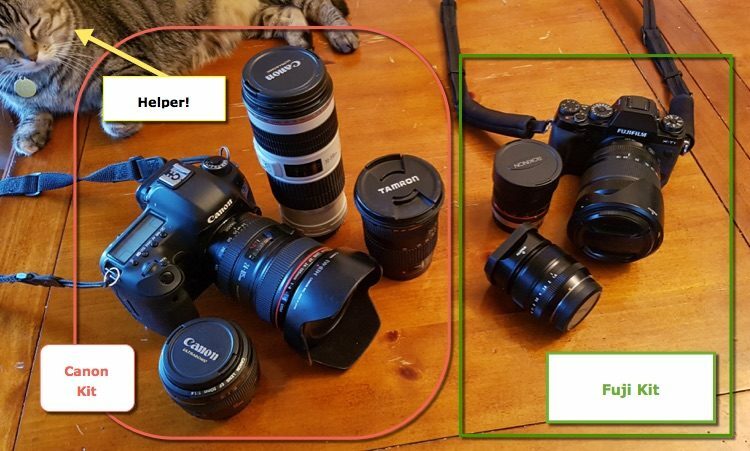 What if you used a different lens? 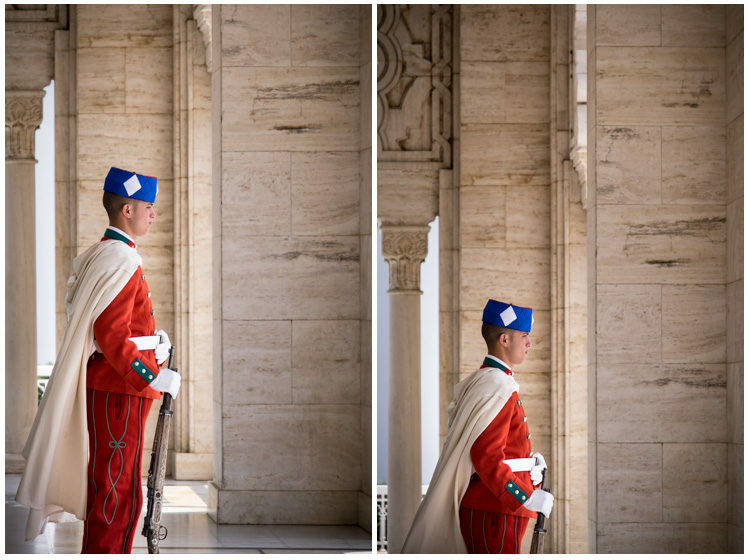 Would it be better if you were shooting from a higher camera angle, or down lower? Walk all the way around your scene or subject and look at it from different perspectives. See if the light is better from another spot. Is the background less distracting if you move three feet to the left? 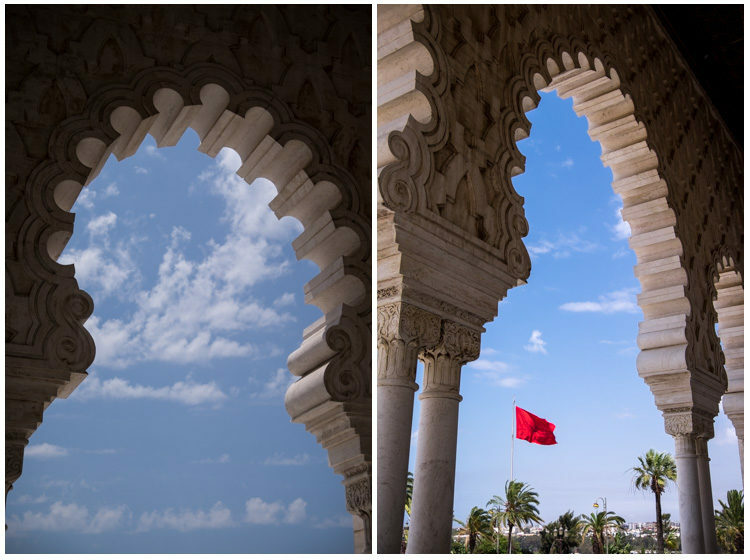 Here is a series of images I took at the Mausoleum of Mohammed V in Rabat, Morocco. I walked all the way around the building, went inside, shot the guards from the inside, at an angle, far away and close up. I tried different compositions to include the flag or crop it out. 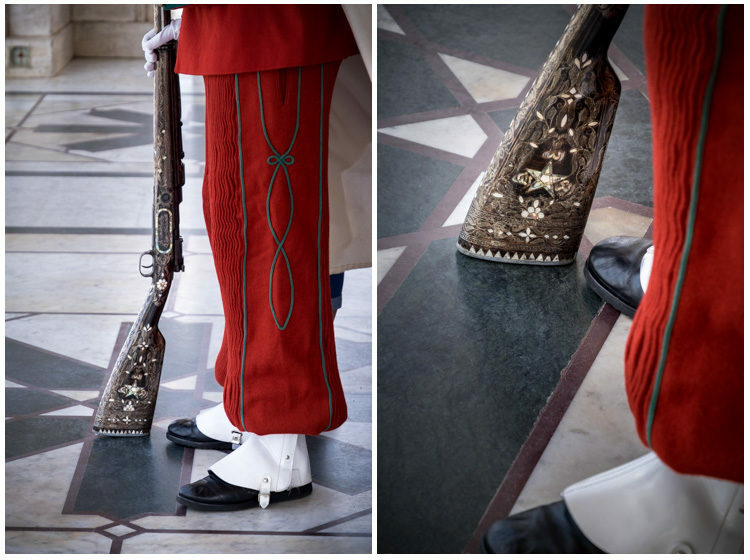 Details on the shoes and gun attracted me so I focused in on those. Together these images represent that place well. So remember to work the scene. 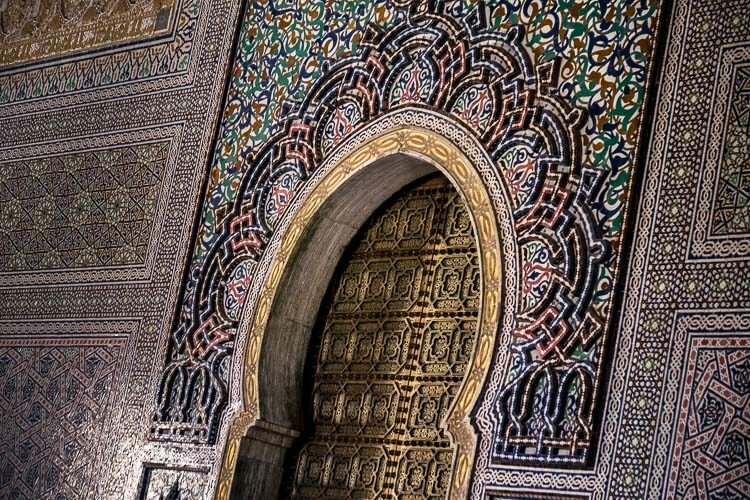 Details of an ornate door inside the mausoleum. 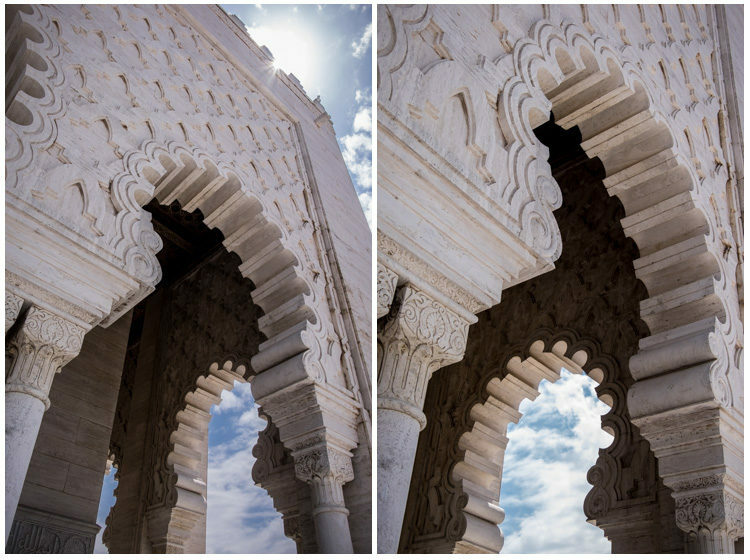 Arches with and without sky showing in the upper corner. One of the young guards showing the size and grandeur of this place. Closer up on the guard. 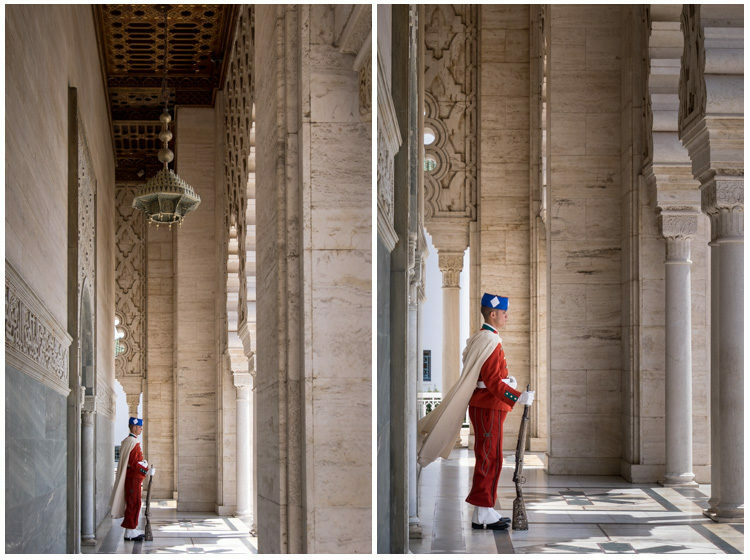 I loved the light coming in through the archways, and his red uniform against the monochromatic marble. The inlaid gun handle caught my attention. I took a few different shots before he gave me a dirty look. More archways. This one I played with to try and get the flag in the arch but crop out people coming and going. It was tricky! I challenge you to take several shots of the same subject. Explore all angles and options. How do you want to show this subject? What story or message do you want your viewers to get when they see your images of it? Does your photo convey that? Keep shooting until it does. And I don't mean “spray and pray” by taking bazillions of photos, hoping one is good. No, instead shoot with intent, with purpose. Use your head and your feelings. 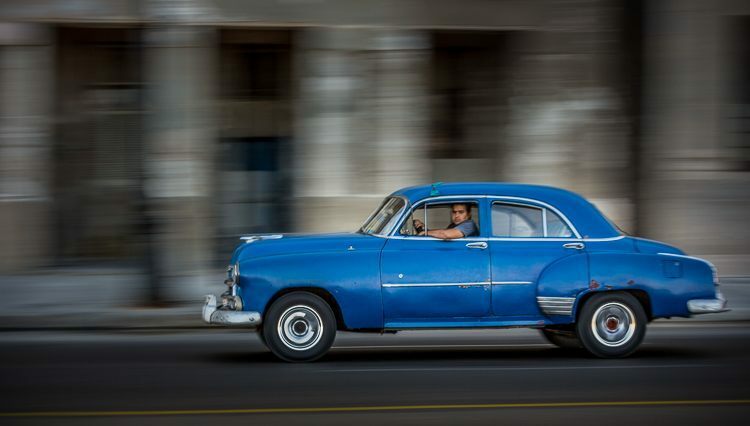 To do something else different than most people do for their vacation snaps – try adding in some motion or intentional blur to your travel photography. That involves adjusting your shutter speed to a slower one and capturing things that are moving as a blur on purpose. ISO 100, f/16, 1/30th – Viñales, Cuba. This was shot at ISO 100, f/22, 1/60th of a second. Bicycle race I stumbled upon by accident. ~ Trinidad, Cuba. 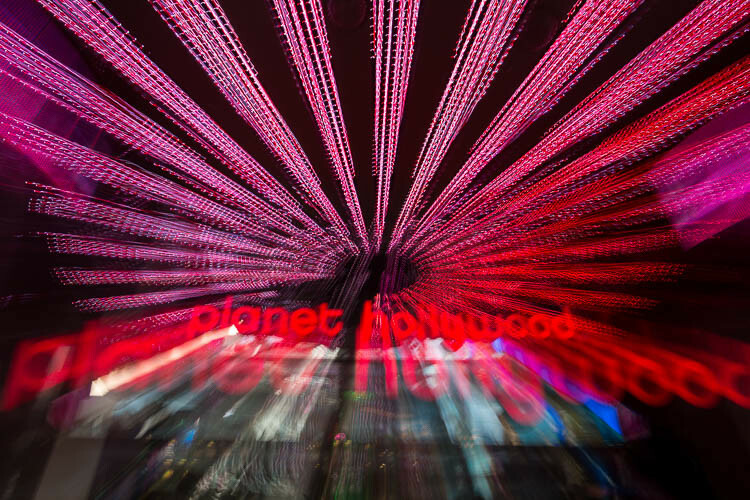 A zoom blur on a neon sign is pretty fun. ~ Las Vegas, USA. 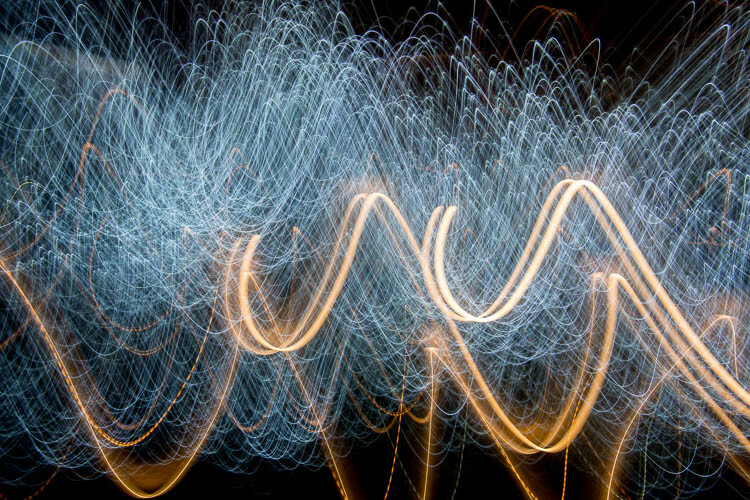 Long exposure and camera movement create an abstract. I hope you have found these 10 travel photography tips helpful, and something you can apply to your photography even at home. Take your time and really apply each one and set aside a dedicated time to shoot each week and practice. Only by doing can you more forward and learn. 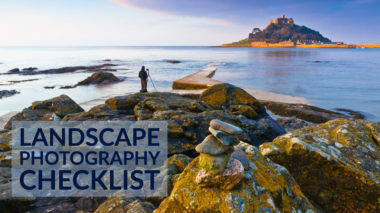 Please share your travel photos or one from home, that you've taken by applying these tips. If you have any other tips to share from your own experience please do so in the comments below. As always, thanks for reading.